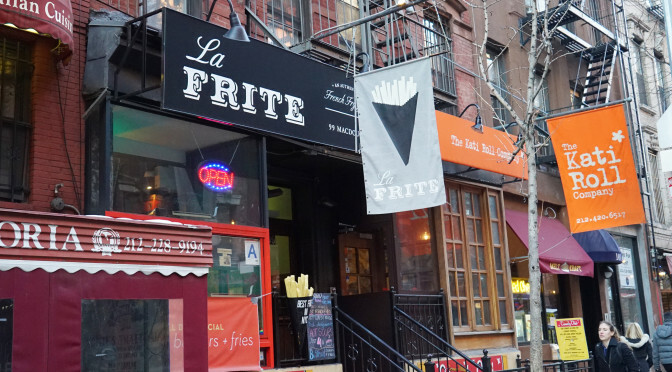 La Frite is a little french fry joint on Macdougal just above Bleecker. 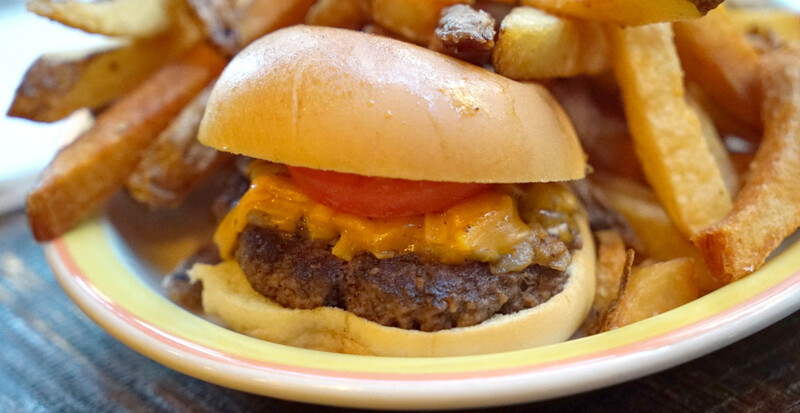 They have a great $8 special that gets you two sliders and an order of fries. Not too bad. 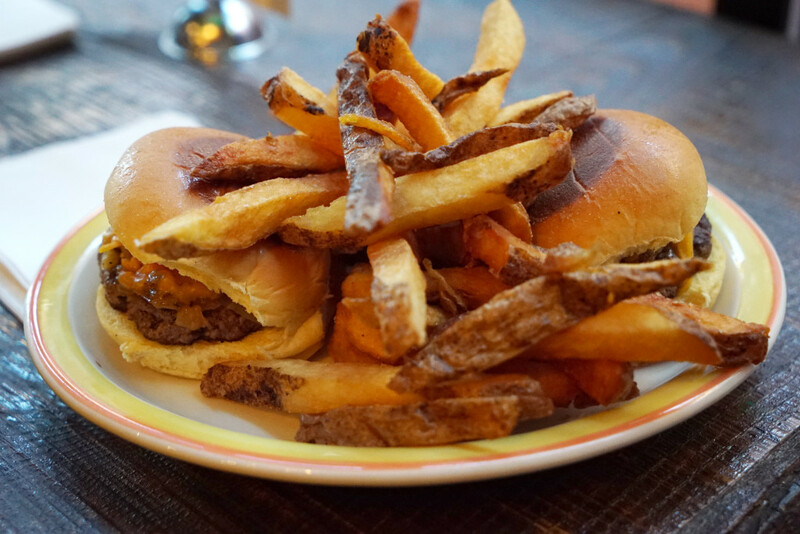 But my wife and I actually liked the veggie slider (the actual veggie one, not the black bean one) better than the beef slider! Go figure. 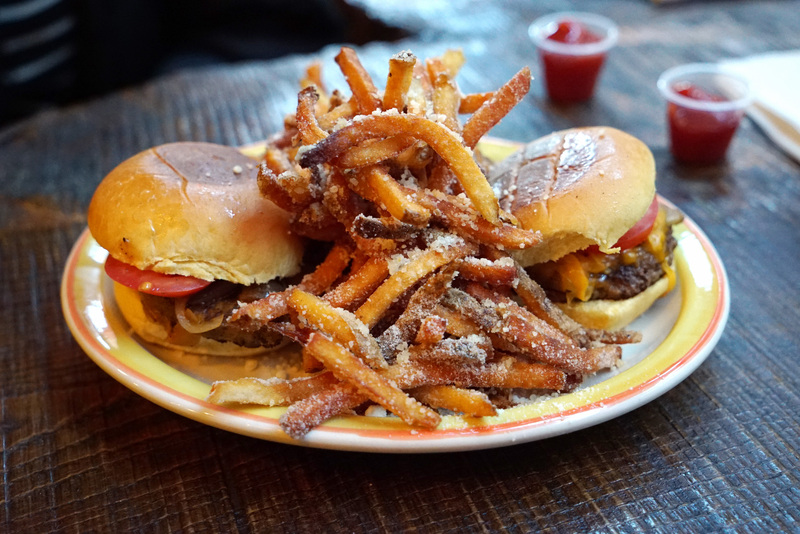 For the fries, you can cheese regular or thin cut, and you can also get them “signature” style, with bacon crisps on top, or truffle fries (sprinkled with parmesan cheese and fried with truffle oil involved in the process). 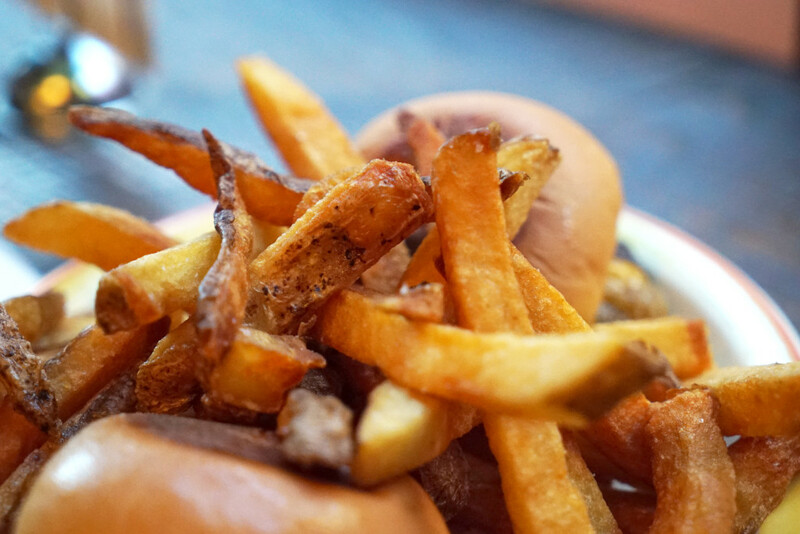 We tried thin truffle fries, and regular classic cut fries. We liked the thin cut truffle fries better, though we didn’t try any of the special dipping sauces (just mayo and ketchup). 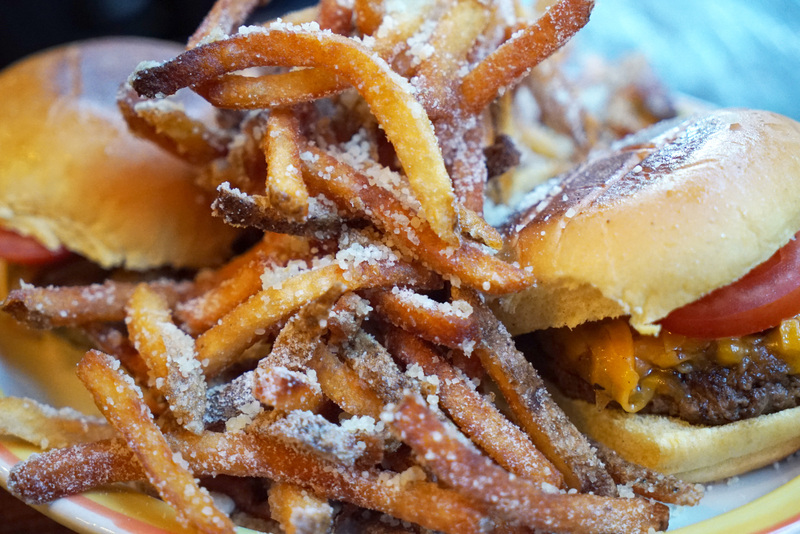 I don’t know that I’d go out of my way for these fries. 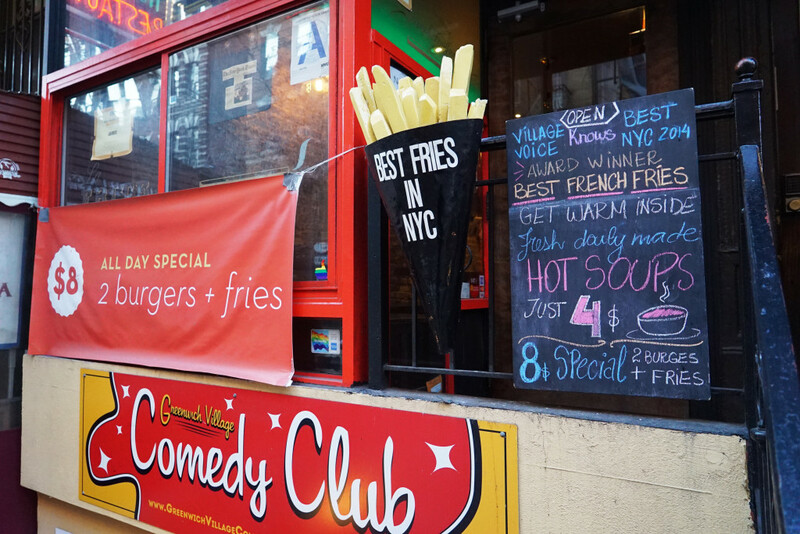 There are better around the city, but I like the idea of a french fries only type of place.